Crop production and livestock husbandry account for about half of household income in the Nile basin partner states. Most of the Nile partner states are overwhelmingly rural, and the agriculture sector employs a large proportion of total labor force. 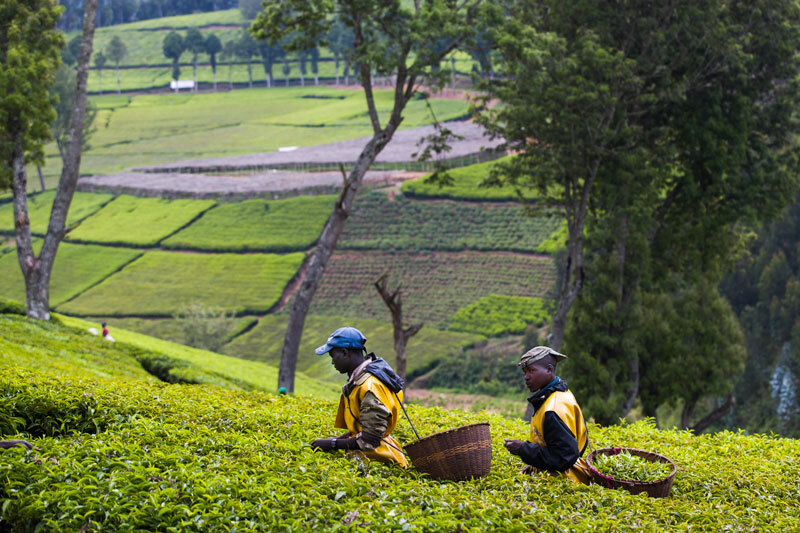 As example, the agriculture sector employment accounts for 70 to 90% of total employment in Burundi, Ethiopia, Rwanda, Tanzania, and Uganda. Likewise, agriculture sector employs around 80 to 90% of female labor force in those countries, plus Congo. Also, with the exception of Ethiopia and Kenya, agriculture sector accounts for higher proportion of female employment than male employment, which implies that women are heavily dependent on agriculture sector for their employment security. The poorest members of society are those who are most dependent on agriculture for jobs and income. 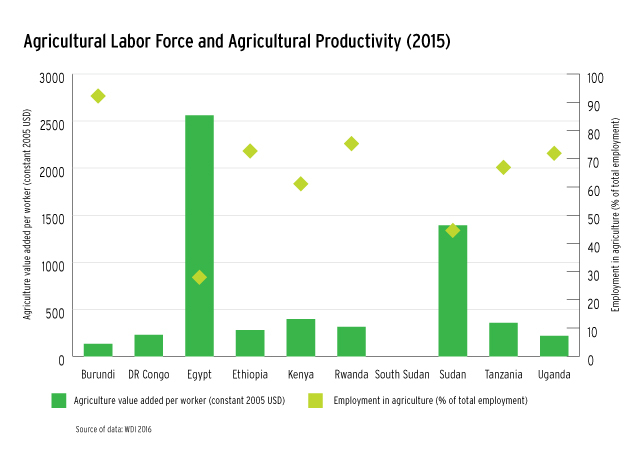 Average agricultural value added per worker is low in many of the Nile partner states (lowest in Burundi (US$ 132 and Highest in Egypt (US$ 2561), reflecting a low degree of mechanization and limited penetration of improved seeds and inputs such as fertilizers. As agriculture sector value added per worker is a measure of agriculture sector productivity/ efficiency, it implies that agriculture sector in the Nile Partner States is least efficient, which points to capacity constraints, underemployment, low productivity, market distortions, and poor infrastructure in these overwhelmingly drought-prone and water scarce countries. Therefore, agricultural productivity enhancing technologies and interventions are likely to be pro-gender and pro-poor, simultaneously.